Connection Group small business marketing services include corporate brand marketing, internet marketing, print marketing, and social media marketing for small business. If you need to increase traffic, promote a special, increase name recognition, build awareness, or improve your corporate image — connect with us, we can help. or Email us to find out more! Are you a DIYer? 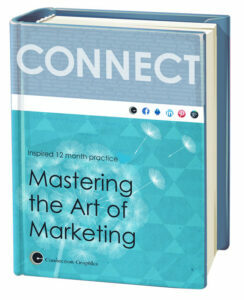 Take a stab at small business marketing on your own with Mastering the Art of Marketing e-book. 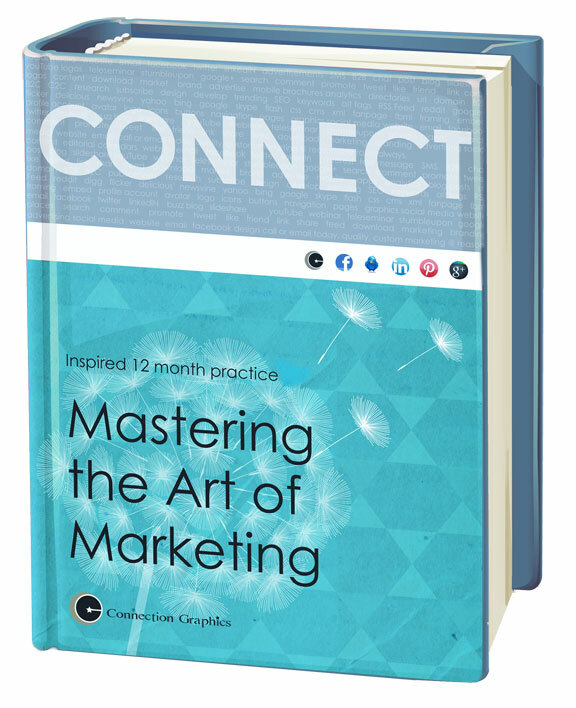 This ebook created for small business marketing is chock-full of small business marketing, branding and advertising worksheets for business growth. Also visit our blog for entries that may be of value to your small business marketing goals. As you research and compare design and marketing firms consider what is most important to your small business marketing efforts. What results are you looking for? How much time do you want to spend developing small business marketing campaigns? How much time do you have to decipher and review marketing reports? How much time will each firm spend getting to know your company and your target market? How much consultation time will be spent between the marketing firm and a separate design firm? Will you have a monthly marketing and design budget that is locked in or one that keeps creeping up? Learn about our website design, and design packages. Success in business starts with connections.